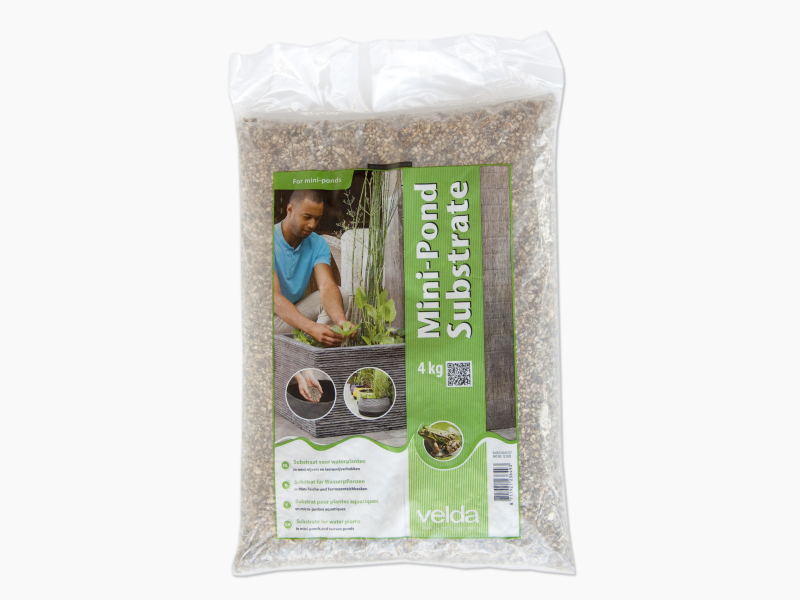 Give your mini and terrace ponds a good start by applying Velda Mini-Pond Substrate. In this way you provide a powerful root development of marsh plants and beautiful garlands of leaves for the oxygen plants. Oxygen plants are playing an important part in the environment of mini ponds. They absorb nutrients and provide high oxygen and healthy water. 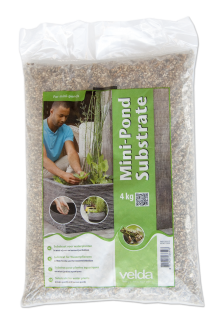 The Mini-Pond Substrate is composed especially to be applied as soil cover, but also for potting marsh and oxygen plants. Duly rinse the substrate before use. Cover the whole bottom with about 2 cm of the material. To pot plants you should choose matching small plant baskets. In case you use coarse-threaded baskets, please apply cloth liner to prevent rinsing away. 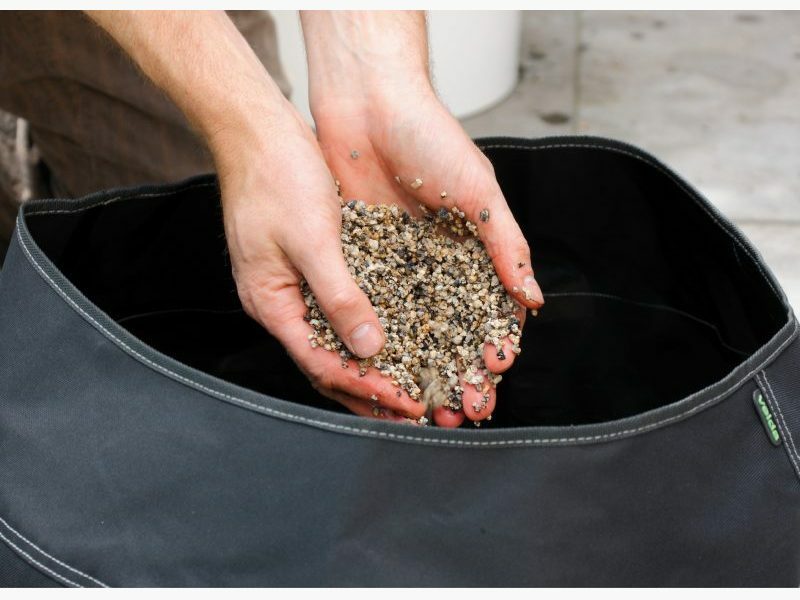 Fill the baskets entirely with Mini-Pond Substrate and moisten the material additionally before potting any plants. Mini-Pond Substrate needs not to be covered with any different material.